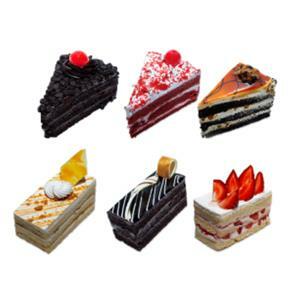 Send Taj Assorted Pastries - 6 Pcs. (Midnight) to Chennai. Gifts to Chennai. Send Cakes to Chennai. Description : Gifts your beloved with 6 Pcs of assorted pastries from Taj to Chennai at the middle of the silent night. This yummy delicious treat along with your Gifts to Chennai through Gift2Chennai.com will sure to win the heart of your loved ones and make them yours forever. Kindly mention the occasion date in the Special Instruction field when you are placing the order. The date of the delivery should be one day prior to the occasion date.For example: If the birthday is on 25th of the month, in the Special Instruction mention the occasion date and select the Date of Delivery as 24th.